We all need a treat from time to time right? 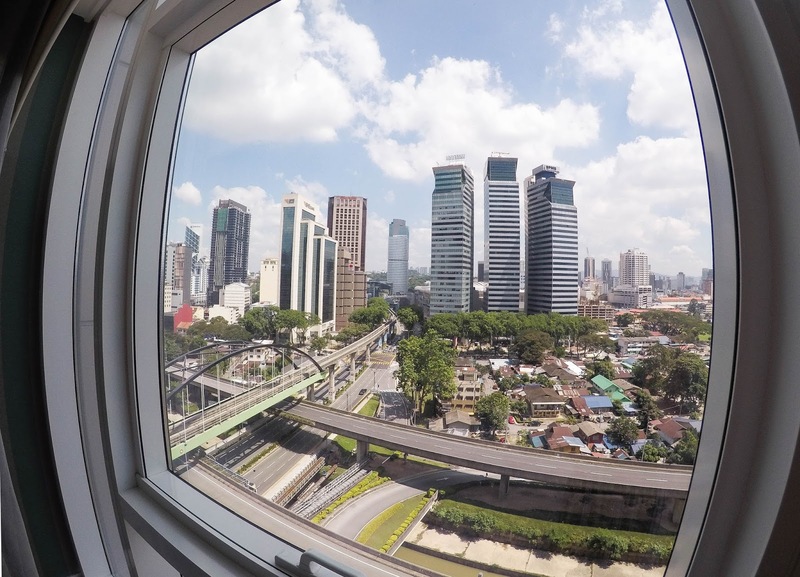 After many nights in hostel rooms or very run down guesthouses I was excited to get to Kuala Lumpur. Why? Because we had an apartment booked for our visit. And obviously because I was ready to explore the city! Accommodation costs can add up A LOT. Especially when you're on a multi destination trip that spans a few months. I used to hate staying in hostels. I no longer hate it. Hostels have their pros and cons but I'm more than happy to share a room with strangers to save some money. But like I said everyone likes a treat. I had a bucket list containing various places and things I wanted to do while I was in Asia but I also had a different bucket list. An accommodation one. Most places I chose cheap and cheerful. However, Kuala Lumpur was one of the places I knew I wanted to have a treat. Plus the hostel I wanted to stay in was nearly as much as the apartment so it would of been rude not to make the most of more luxurious accommodation for less. Last Friday I headed down to London to meet up with an American friend I'd met travelling Asia and a university friend. Seeing as I don't go to London very often (I think the last time I visited was last Christmas) to go to some blogger favourites. And, of course, one of these current Instagram 'it' spots is the Peggy Porschen Cafe. I was originally planning on staying overnight but my plans changed, it's a good job I paid to have an open return. However, this meant my train didn't get into London until around 2 o'clock. 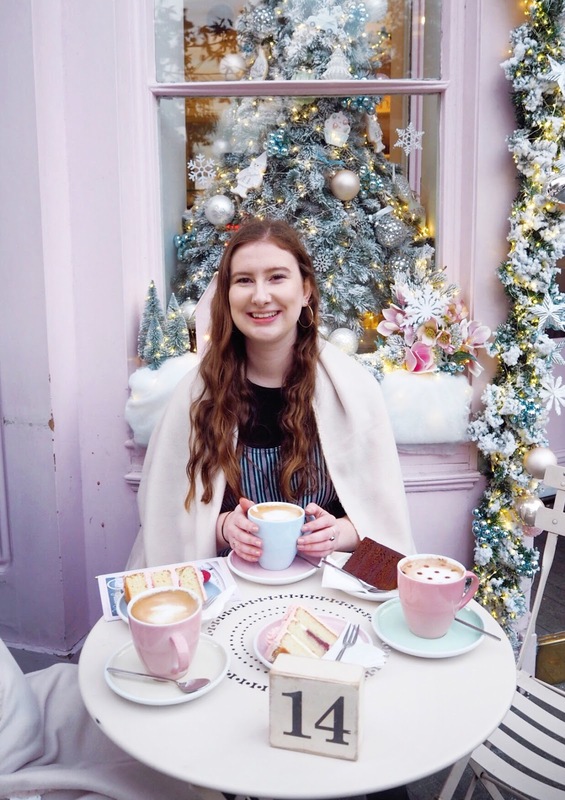 I hopped on the tube and met my friends and then we headed straight Peggy Porschen's cafe, hoping it wouldn't be too busy. It was actually my non blogger friend who suggested we should visit the cafe, so I guess it's not just a blogger favourite! As soon as she told me the name I knew where she meant and of course agreed we should visit. It seems visiting an elephant sanctuary whilst in Thailand, or Asia for that matter, is the thing to do. And it’s easy to see why. Who wouldn’t want to spend the day surrounded by elephants? I knew before I’d even stepped on a plane that an elephant sanctuary was something I wanted to do on my trip to Asia. However, this wouldn’t be my first experience of elephants. I saw them in the wild while on safari in Sri Lanka and in India where I’d had to opportunity to ride them. I’d decided against this. While I really wanted to see an elephant up close I didn’t want it to be done in this way. I decided to wait until I could do it ethically. Because, honestly, the cruelty greatly outweighs my want to see an elephant up close and always will. The clocks have officially gone back! And now that halloween is over it also means the official Christmas countdown can begin. Although to be honest it’s already started, as soon as the Boots Christmas catalogue is released it’s Christmas time for me. Anyway I shouldn’t spend too much time talking about Christmas in my October post. I would talk about Halloween instead but I didn’t do anything this year. I have to admit I did miss covering myself in fake blood. But I did take full advantage of the halloween chocolate. Getting very few trick n treaters is a good thing. This post was actually supposed to be posted a few days ago but I've had no internet and blogging on an iPhone does not work very well! Last Monday I sat down to watch Made In Chelsea on my laptop (so I didn’t have to move from my bed) and the internet died. And not just for ten minutes like it has the habit of doing. It stopped working for over a week, in fact it was nearly two weeks before it finally came back. Having no internet is obviously a very first world problem and while I don't want to whine about it too much it was also really annoying. I haven’t been able to blog or do any job applications. And most importantly I haven’t been able to have my nightly Netflix binge. It wasn't the end of the world, downloaded Stranger Things 2 at work and binged watched it on my Ipad. Thank god Netflix lets you download programs. It made blogging a lot harder. I’ve been writing my posts on Word instead. And really if I'd wanted I could have gone and found internet somewhere but my days off work mostly involved errands or doing something else. In a way I quite liked the unexpected break from blogging and social media. It’s gave me time to think about the posts I’m going to write without feeling like I needed to get them published straight away. My blog schedule has gone out the window but I’ve actually managed to plan all my content up to December! I mean it is that time of year. While we all seem to love the crisp leaves and fresh air Autumn brings I don’t think many of us are quite so joyful at the bugs and colds that start floating around. I wrote about this in my burnout post. I’d managed to escape the colds at work and then ended up with a virus of some sort which not only gave me flu like symptoms but also had me up being sick for most of the night. Fun. I’d like to say I’m feeling better than ever but I’m not. I have some sort of cold still. Nowhere near as bad but I am beginning to resemble Rudolph from the amount of times I’ve blown my nose. I haven’t done anything to celebrate Halloween this year which is a little sad because I quite enjoy dressing up. But I can’t do a October post and not mention Halloween at all can I? Some people love it , others hate it. In all honestly, I sit on the fence. I love dressing up but I don’t love Halloween. If that even makes sense. I don’t decorate my house or watch scary movies but I don’t sit around thinking what a pointless holiday it is. Having said that I may watch The Nightmare Before Christmas. I usually watch it at Christmas time but maybe I’ll have to start a new tradition. You know how I completely failed this goal in September and I’m pretty sure I did in August too. Well, I did it! I think I have lack of internet to thank for this. I’m still not finished It. I mean it’s a very large book but I’m starting to think that I might have to just give up and admit that it’s not going to work. I’ve read other Stephen King books in the past and got through them quickly because I‘ve liked his writing style. But this time I’m so slow. I’m going to give it one more try. But I have read three books, which is pretty good for me. Including The Bell Jar which I read in a day. I was actually doing well with this until my loss of internet. However, I have realised that while having a schedule is good there's no point stressing and publishing posts on set dates for the sake of it. I don't really think this has happened. I'm being more interactive on Instagram but twitter and general blog comments are still lacking. I've booked time off at the end of November but the trip I originally booked the time off for has fallen through. However, I really don't want to waste the weekend as I work most of them. I'm looking into going to Copenhagen as I'd love to have one more break before the new year. I still need to finish my journal from Asia. Yep, that trip that ended nearly four months ago now. I don't think I'll remember everything but as long as everything's stuck in and the key things are written down I'll be happy. My plans for 2018 keep changing but I think I know what I'm doing now but it's too early to talk about anything properly just incase. But I need to do a lot of research and start doing a lot of applications. Basically, I just need to sort my life out. 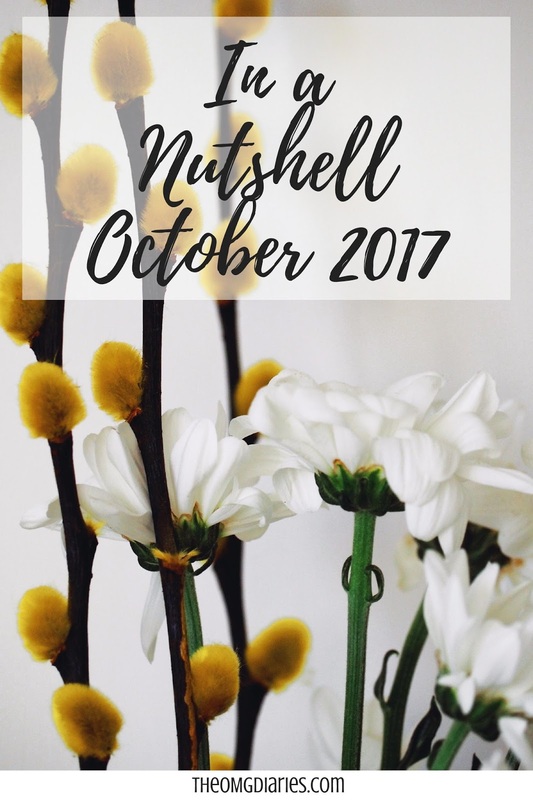 What were your October highlights? Are you excited for the countdown the Christmas?